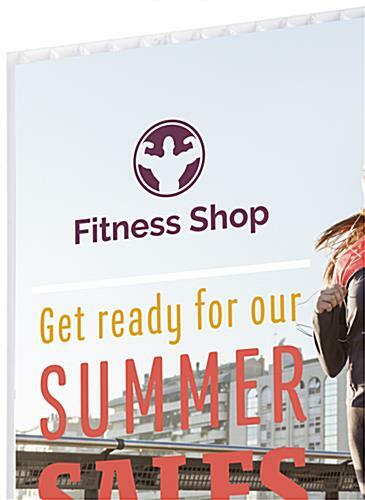 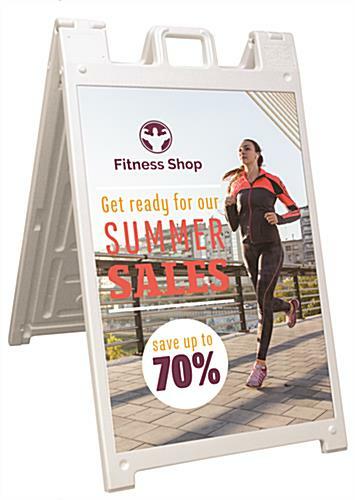 This sidewalk frame with custom printed plastic panels combines white Coroplast® boards with waterproof, weatherproof UV printing to create an all-weather display sign that will attract attention in any environment. 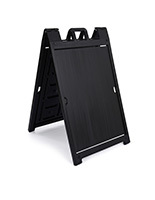 The 24" x 36" double-sided folding fixture features stay tabs to hold graphics in place and a fillable design for stability in inclement conditions. 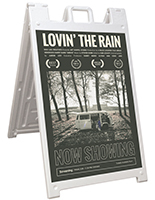 The white frame with custom printed plastic panels offers a fold-up design with built-in carrying handle for easy mobility. 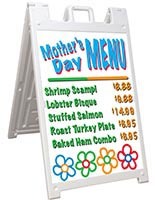 Each infoor/outdoor fixture includes two full color imprinted panels for advertising graphics, marketing messages, menus, branding, or sales information. 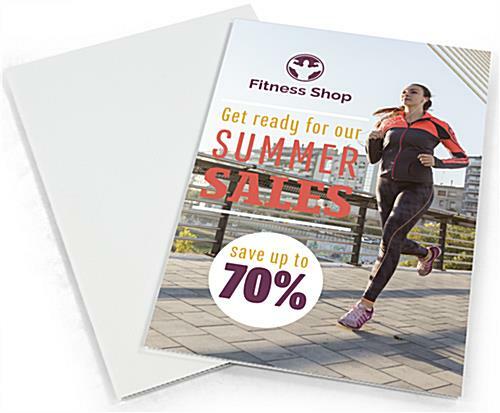 The versatile custom printed plastic panels and frame set are ideal for use in or outside of retail, restaurant, professional, commercial, and educational environments. 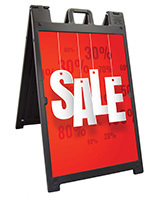 These lightweight and sturdy sign boards are a long-lasting alternative to displays that require clip-in or swing open lenses to protect posters.